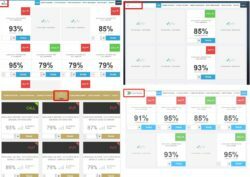 In this Lazy Trader App review you will find proofs that this program is a scam. It is presented by Rick Daniels. Daniels claims that he created a binary options trading app based on his own algorithm called profit repeater. 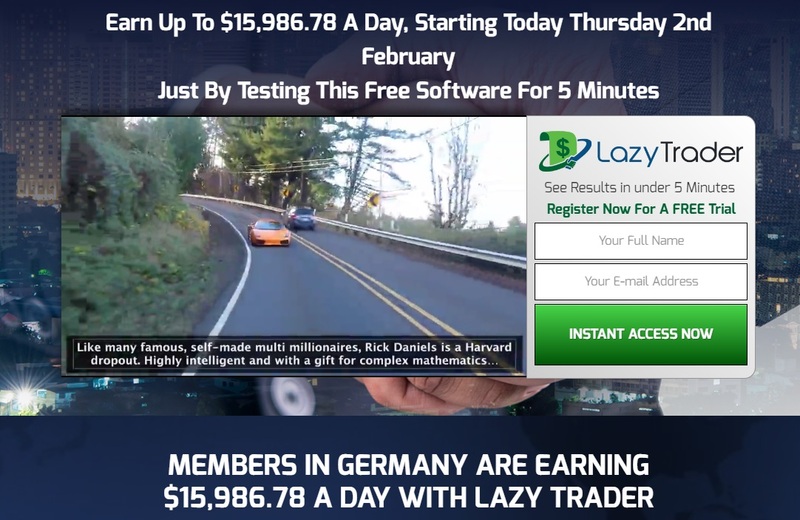 This Lazy Trader App can allegedly make you $237 per hour or $15,000 per day. And because we all know that money is free (isn’t it? ), you can get the Lazy Trader App for free. The truth is that Lazy Trader is a scam and Rick Daniels is just a paid actor and scam artist. This program won’t make you a single cent, in fact it will lose your own money. How a free software can lose you money? Continue reading. 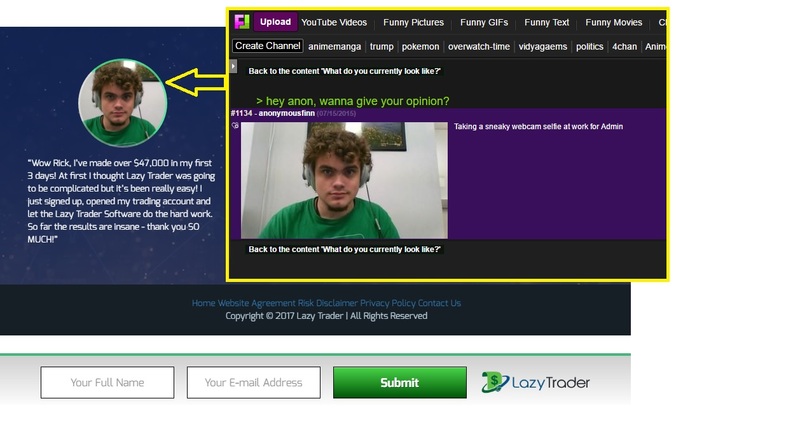 On the Lazy Trader website you can see testimonials from people that are allegedly making money with this program. But they are all fake. Scammers used stolen photos and fictitious stories. See the picture with a proof. Then you have the people in the video, they are paid actors just like Daniels. They are not real users of this system. The undisputable proof that the Lazy Trader App is a scam is in the software. In the presentation video they show you just some images, not the real app. You have to register to get access to the real Lazy Trader App. When you do it, you will see an app that is widely used by scammers. 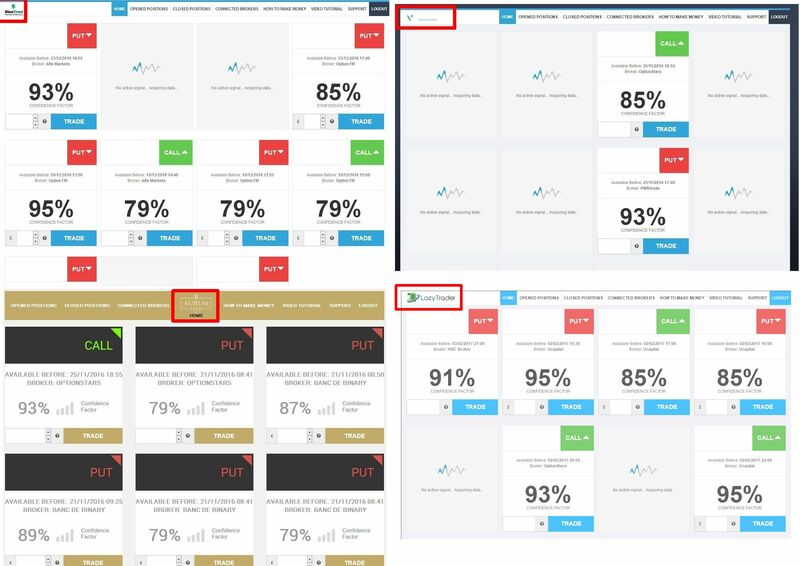 This same software has been used by many scams, look at the picture to see some examples, like Binatrust, Aurum Tech or Wall Street Focus Group. We get a lot of feedback about this software from real users and they all say that it is losing money! So how does Lazy Trader really work? It is very simple, after registering you will be forced to deposit money with a broker that you won’t be allowed to choose. The Lazy Trader App won’t be activated until you deposit at least $250. This is because scammers are associated with this broker that pays them for referring new depositors. This is how they earn money. If you do it, deposit money and let the software trade your account, you will lose your deposit. End. The Lazy Trader App is a disgusting scam that will make you deposit money and then it will lose your money. Stay away from it! If you want to see how binary options trading really works and how you can make money in it, try a free demo account with a regulated broker. Learn to trade profitably on the demo and only then you can start trading with real money.